Platelet rich plasma, or PRP, is blood taken from a patient and spun in a centrifuge, concentrating the amount of platelets and growth factors. This plasma, containing a very high concentration of platelets, is re-injected into the site of injury or damage, inducing the body to repair damage to muscle, tendons, ligaments, and soft tissue. Although the body does this naturally when an injury occurs, the PRP helps speed the healing process. Many injuries to the foot, especially those affecting tendons, do not heal well because poor blood supply to the area prevents healing platelets and growth factors carried by the blood from getting to the injury site. PRP injections can help fix this problem and speed recovery. This is the first regenerative treatment ever for damaged muscles, tendons, and ligaments. It avoids the need for surgery, and as it requires only the insertion of a needle, is minimally invasive. The injection of PRP is done with the use of ultrasound to ensure the proper placement of the platelets. Once the first injection is received, the patient will return to the doctor's approximately 2 to 3 weeks later to be checked on how well the treatment is moving along. As with most treatments, each patient's response is different. Based on a patient's condition, the doctor will make the decision about how many more injections will be needed. Acute and chronic injuries will require more injections than mild ones. Common injuries of the feet such as ankle sprains, Achilles tendonitis, and plantar fasciitis, as well as acute and chronic tendon and joint diseases such as arthritis, can all be treated with PRP injections. For many, this therapy has lead to greatly reduced pain and increased function of the foot. Combining exercise or physical therapy with the PRP injections will help increase the success of the treatment. This treatment, being minimally invasive, means that surgery can be avoided, in many cases, and recovery time cut down. Other benefits of PRP injections are a decrease in scar tissue and fibrosis to the damaged area, as well as increased range of motion, flexibility, and strength. The risks from using PRP injections as a treatment is very low as the patient is injected with his own blood, so that there is no risk of rejection or of getting a disease from using another person's blood. As with any injection into the body, there is a risk of infection, but this is very rare. Research is showing that PRP may have an anti-bacterial property that would further decrease the risk of infection. The strongest tendon in the human body is the Achilles tendon that connects the lower leg muscles and calf to the heels in your feet. The Achilles tendon is a vital tissue because it aids all of your movements, from walking to running. Injuring this area is extremely debilitating and painful, and can prevent you from not only doing the simplest tasks such as walking, but also prevent you from standing up straight. 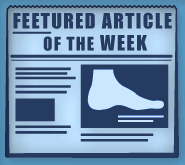 The two most common problems associated with the Achilles tendon are tendonitis and ruptures. Tendonitis is the less severe of the two injuries, yet still poses a serious risk to those who suffer from it. Chronic pain, inflammation, increased blood flow, thickening of the tendon, and slower movement times are just some of the symptoms associated with Achilles tendonitis. Fortunately, this can be easily diagnosed with the help of an MRI exam and treated to manage the symptoms. A rupture of the Achilles tendon is a much more severe and painful injury. A rip, tear, or snap of the Achilles tendon will cause a rupture, immediately followed by immobilization and a significant amount of pain. Because of the immediacy of the injury, not only will you know right away that your Achilles tendon has ruptured, but you also need to seek professional medical help right away. Often times, surgery is required to repair the damaged tendon, and recovery time for this process can take as long as one year. There are some things you can do to help prevent an Achilles tendon injury, although it is impossible to fully stop one from happening. Stretching before physical activities such as sports or exercise is the best way to keep the tendon health, as well as performing a variety of strength training workouts to improve the tendon’s ability to function. These include calf raises, squats, leg curls, leg extensions, leg raises, lunges, and leg presses. However, Achilles tendons can still occur due to overuse or improper mechanics while running, jogging, walking, or playing sports. Aside from getting the right type of exercise and maintain a proper, healthy diet to keep the tendon strong, getting the right shoe fit is just as important. Making sure to choose shoes that not only fit right, but provide support for your ankles will help you prevent a devastating Achilles injury. Due to the severity of an Achilles tendon injury, it is extremely important to seek immediate medical help if you are suffering from either tendonitis or a rupture. There is such a dependence on the Achilles tendon that facilitates our basic movements, that any injury to this area needs to be professionally examined right away. Additionally, do not always assume your shoe size will be the same at every store. Manufacturers sometimes run differently, and your shoe size will vary. Make sure the stores your purchase from have return policies, in case there is a problem. An overall big concern in buying shoes is making sure they are comfortable and supportive. There is no such thing as a shoe being ‘broken in’. If they are uncomfortable at the store, they likely will always be uncomfortable. Ankle sprains, while not as severe as a broken ankle, are still a serious injury that needs immediate attention. They can lead to limited mobility and a significant amount of pain, and are often characterized by swelling and sometimes discoloration of the skin. An ankle sprain occurs when the ligaments are stretched beyond their limits, and even though this can happen in other places, such as the wrist, the ankles are the most common place for a sprain. Ankle sprains can occur in many different ways, even just by simply walking. They happen when the ankle rolls over itself or twists under the foot, causing the ankle and tendon to snap or pop. Athletes who continually push their bodies to the limits are often at risk, as are people who have previously suffered accidents involving the lower extremities. In most cases, ankle sprains are not severe enough to warrant medical help, such as going to a hospital. There are many self-care remedies you can use to treat your ankle, including applying ice packs to reduce swelling, remaining off your feet to reduce pressure, and elevating your feet above your head to reduce blood flow and inflammation. Often times an ACE bandage and over the counter pain relievers are enough, but it is still important to remember to stay off the ankle for some time to avoid re-aggravating it. Even though most of these cases are mild, a severe ankle sprain can occur which will require professional, medical care. A sprain that causes a tear in the ligament or damage to the muscles is severe enough to warrant surgery and keep you off your feet for a prolonged period of time. Post-surgery physical therapy is often required in order to completely rehab the ankle back to health, and this will be administered and monitored by your podiatrist. Even though ankle sprains may seem harmless and only mildly painful, if you are experiencing non-stop pain over a long period of time, if walking is becoming too painful for you, if the swelling is much more severe than initially anticipated, or if numbness and tingling is present, this may be signs that your sprain is a much more severe broken ankle. It is highly recommended to seek treatment right away for these symptoms. Often times, preventative care is one of the best ways to avoid ankle sprains. Wearing appropriate fitting shoes that provide both ankle and arch support will help, as well as stretching before any kind of physical activity, including sports, weight training, or even simply jogging.